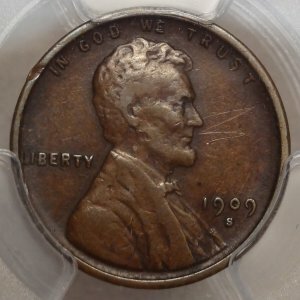 1909-S VDB U.S. Lincoln Cent VF Details (PCGS)...A nice original example of this popular Key date, which shows some minor scratches, which show up in our images due to use of reflected light to image the coin. 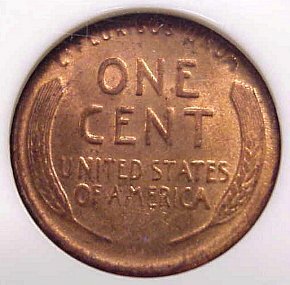 These are much more difficult to see on the coin in person - the marks save you a considerable sum. 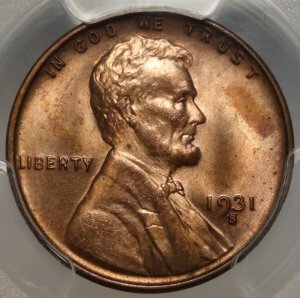 1910-S U.S. Lincoln Cent MS63BN (NGC)...A glossy uncirculated example of the second year San Francsico Mint Lincoln Cent, showing some traces of the original Red. 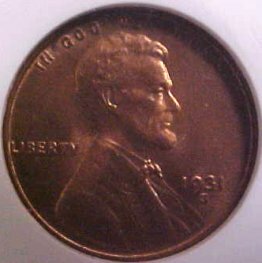 1912-S U.S. Lincoln Cent Unc (PCGS)...A sharply struck, strictly Uncirculated example of this much better date San Francsico Mint Cent. 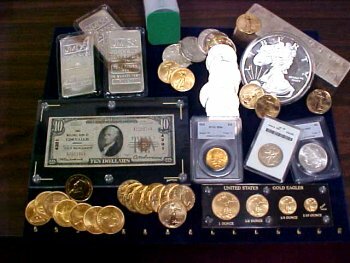 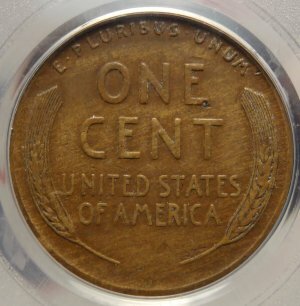 Certified as having questionable color ... a better description might be lightly stained from non-numismatic storage. 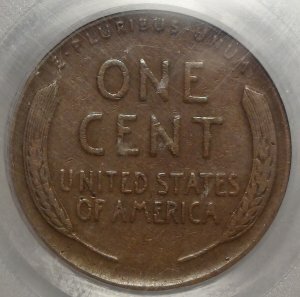 A scarce high grade example! 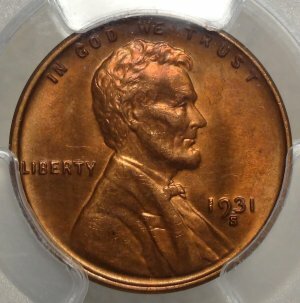 1921-S U.S. Lincoln cent MS64 RB (NGC)...An affordable example of this better early twenties date and so close to a perfect gem! 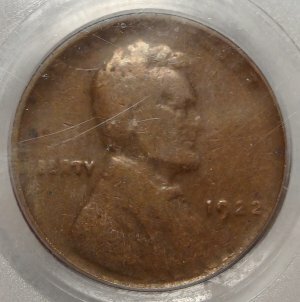 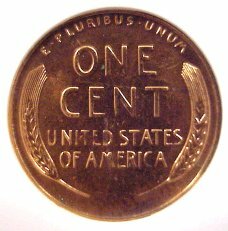 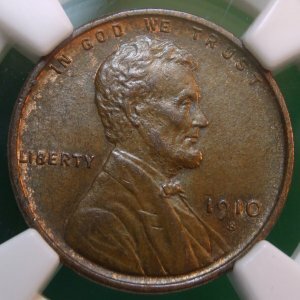 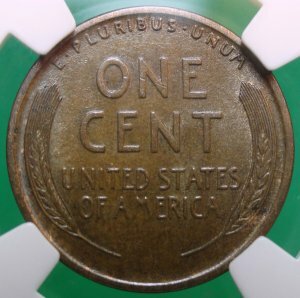 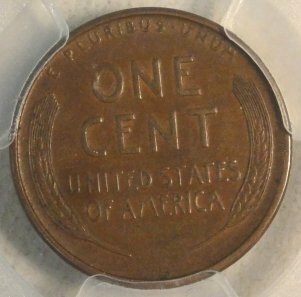 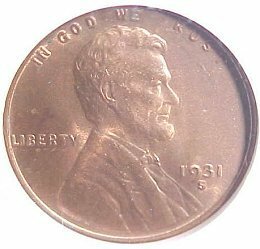 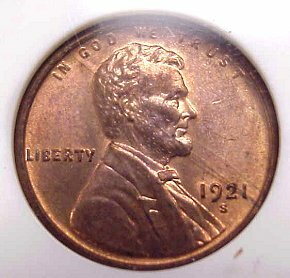 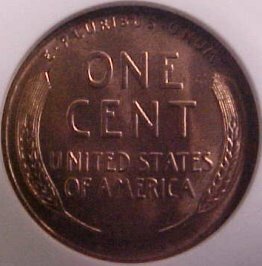 1922 No D Strong Reverse FINE-12 (PCGS)...Popular Lincoln cent error coin from our collectors cabinet. 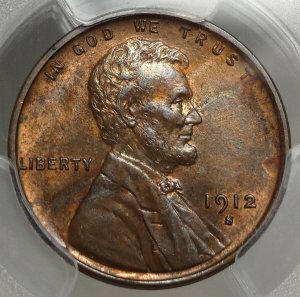 1922 No D Strong Reverse Genuine (PCGS)...Our opinion - VF - a nice coin for your set of circs! 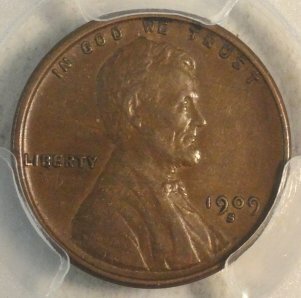 1931-S U.S. Lincoln cent MS64 RB (NGC)...Perfect for your set! 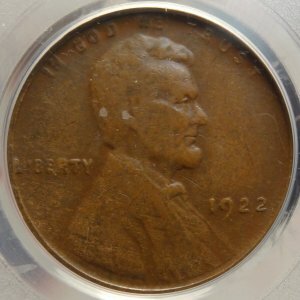 1931-S U.S. Lincoln cent MS65 RB (NGC)...A red and brown gem! 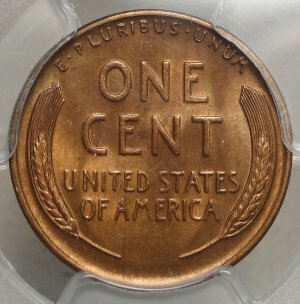 We believe this to be about 85% percent red or better, you be the judge! 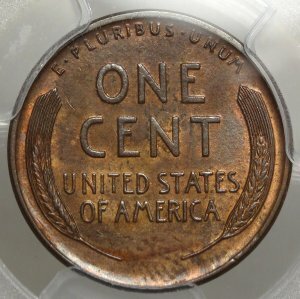 1931-S U.S. Lincoln cent MS64RB (PCGS)...Just slightly faded from the original planchet color, more Red than Brown certainly! 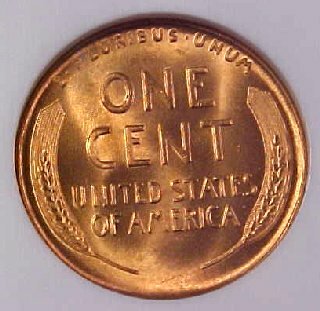 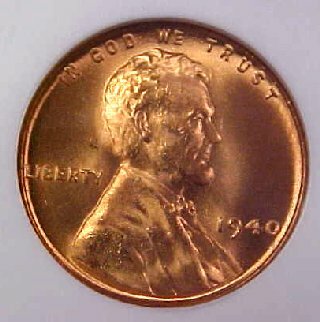 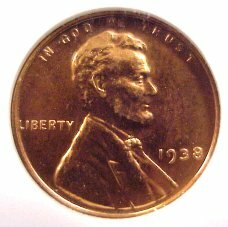 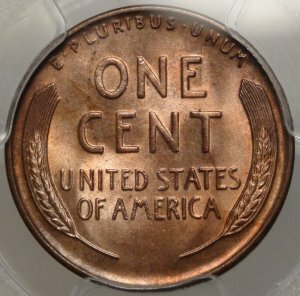 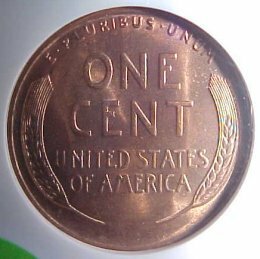 1931-S U.S. Lincoln cent MS64RB (PCGS)...An original "bricky Red" example of this popular Key Date. 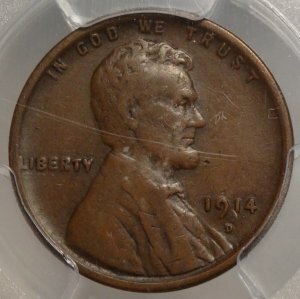 1938 U.S. Lincoln cent PR64 RED (NGC)... A wonderful full red example with a faint hair-line over the 8 in the date. 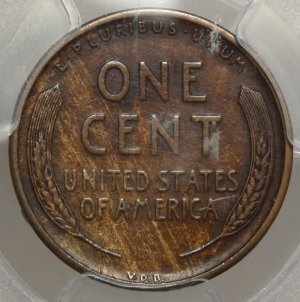 If this were a Morgan dollar, it would grade proof 67! 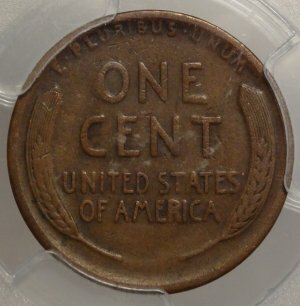 1940-P U.S. Lincoln cent MS67 RED (NGC)...A blazing full red cent that you need to see to believe!